We arrived in Hampi in the middle of an Indian holiday. The train to Hospette from Margao went by without too much of a hitch, leaving and arriving 30 minutes late and taking around 8 hours. We did get on the wrong carriage for a part of the journey, apparently carriage 2A and 2AV are not then same, even though they are identical, meaning at one stop we had to get off and rush 6 coaches down and get on the correct one before the train left the station. From Hospette we caught a rickshaw the 12km to Hampi Bazaar costing 250 Rupees (£3.10) with some amzing scenery on the way. It was just getting dark so the sun was setting over the palm trees and ruins which really was an amazing site. Upon arrival at Hampi Bazaar we went to every single guesthouse/hostel/hotel/homestay that we could find but everywhere was full due to the holiday. At this point it was pitch black and we were in a right pickle. We were advised to cross the river to Virupapura Gaddi as there were a lot more accommodation options. First we had to cross the river. There is the option of walking across but we didn’t fancy that in the dark, so decided to take the boat. We paid 75 Rupees, normally 50 but it was past 18:00 so the price goes up… apparently and were shoved into a circular boat, not the motorized one we were hoping for. We were then paddled across, spinning our way through the rocks and boulders before landing at the other side. Again we visited every single guesthouse/hostel/hotel/homestay we could find but to no avail. Eventually we were offered a place on a restaurant floor, which was incredibly lucky or we would have been on the street! The guy was really nice to us, allowing us to sleep in the restaurant and providing Holly with a sleeping back so she didn’t get too cold. The following morning we checked into one of his rooms for 2 nights and had a much needed shower. The sleep in the restaurant wasn’t too bad really, its where all the staff sleep as they come down from the north to work as it is too cold in their hometowns. I did however get a couple of mosquito bites on the forehead, and Holly got one on her eyelid, causing her eye to swell up like the elephant man. We went for a walk in the day, exploring the landscape with some HUGE boulders and taking a trip up to sunset point, to watch the sun set over Hampi. It was beautiful and really made up for the night before. The next day we hired a moped for 250 Rupees and paid 180 Rupees for 2 litres of fuel. We drove out to Hampi Waterfalls, which were in fact not waterfalls at all. It is a lovely setting on the river, surrounded by rocks and huge boulders, but the waterfalls were just hoses. We then visited Anjanadri Hill and hiked up the 575 steps to Monkey Temple and the amazing views from atop the rocks. On the ascent and the decent we ran into a family of mischievous monkeys, with some babies who were messing around in the trees. This is well worth the visit and effort to climb all the steps. From there we headed back toward Hampi Waterfalls but took a right at the crossroads to Rangapura instead of a left towards the falls. This is a fantastic road to drive on, with new tarmac and some amazing scenery. You drive past a beautiful lake, some small villages and the landscape is like nothing I have seen. We stopped in the Whispering Rocks Cafe a few miles down the road which I can highly recommend. The food was fantastic, it had a very relaxed atmosphere in a beautiful setting. For the next 2 nights we decided to move across to Hampi Bazaar as the Indian holiday was over and there was accommodation available. This gave us the best of both worlds, 2 days in Virupapura Gaddi and 2 in Hampi Bazaar. We decided to walk across the river this time instead of getting a boat, which in hindsight was a very silly idea. It’s quite slippery on the rocks and not a good idea with big bags. I made it across ok but Holly managed to slip, falling waist deep into the water and getting her leg trapped inbetween two rocks. As I rushed over to help I too slipped and went flying, luckily not landing in the water. With 2 people supporting Holly’s upper body she managed to free her leg from the rocks and make it onto dry land. Her leg however was incredibly swollen, bruised and grazed. She was now walking like the elephant man as well as looking like it. We booked into Kiran’s Guesthouse and went for a short walk to explore the temples and adjoining temples. The main temple was lovely, if not pretty busy and cost us 2 Rupees to enter. We did however see Lakshmi the temple elephant inside, munching away on a mountain of bananas. If you head up the granite rocks behind the temple there are hundreds of ruins that nobody seems to bother with, offering lovely views of the valley. We spend a bit of time exploring and chilling in the shade before heading to the Mango Tree restaurant for dinner. It was a lovely day apart from Holly falling in the river, which would have been hilarious if she hadn’t hurt herself pretty badly. Hampi is amazing place, like no where I have been in the world and is a must do if you are in India. However if its an Indian holiday make sure you have some accommodation sorted, or risk sleeping on the streets. Across the river, at Virupapura Gaddi, there is a lovely atmosphere with some chilled out bars and restaurants. Across at Hampi Bazaar the atmosphere isn’t as good but is still a lovely place. Nowhere is allowed to sell alcohol as its so near the temples, whereas on the other side of the river they are. Just something to think about if you like a drink. I’d recommend 2 full days on each side of the river, taking in the best of both worlds. This entry was posted in backpacking, Diabetes, Fun, hampi, Health, India and tagged Diabetes, exploring Hampi, hampi, Hampi Bazaar, Hampi travel blog, India travel blog, Margao to Hampi, renting bikes in Hampi, travel blog, Travel with Diabetes, what to do in Hampi. Bookmark the permalink. Hi Paula. How is your son getting on? I bet that is a great experience teaching in Vietnam! I use these products called FRIO Packs to keep my insulin cold, they are fantastic. 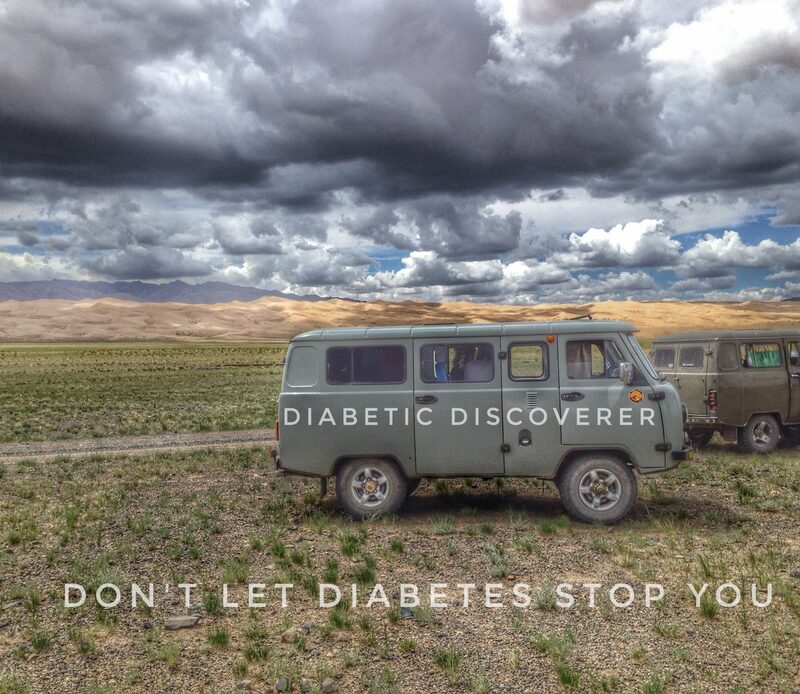 There is some information about them on my travelling with diabetes page. Thank you for your kind comments!